Sorry I couldn't make it today. It's been a busy week with two HPDEs. I am catching up on emails, yard work, and laundry. Hope you all stay safe, have a great time! 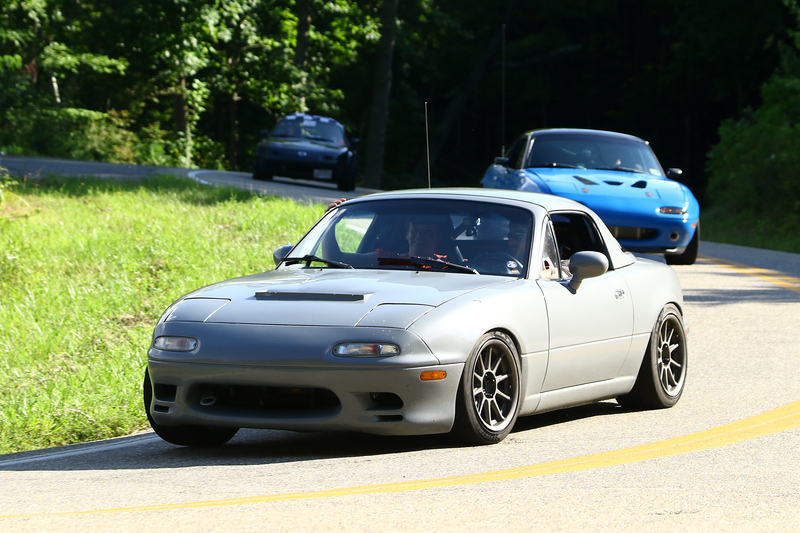 Does anyone have any pix from this year's MATG or should that be a thread by itself? Good to meet you sir. Sorry I missed some of the rest of you. It's a big event and since most of us don't have phone connectivity it's hard to hook up. Cool meeting you too! Really glad you were able to make it, hope you can bring Rooster with you next year. Only dropped a wheel once, in the Gravity Cavity on the Dragon. Only cost me a tire and some slow runs on the spare. 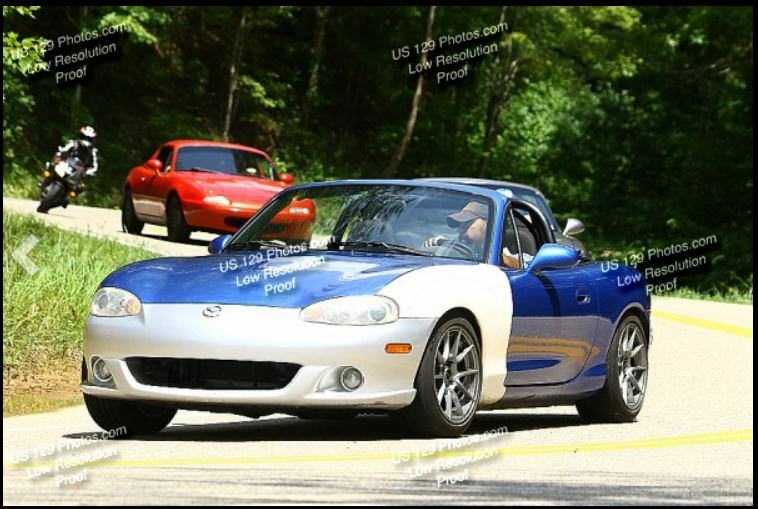 Here are a few pix I took as well as some of the guys in our Miata Club. Walked over after he parked and looked at it and it is a nicely done wrap. Bryan's car the TICK, glad Bryan kept this car and is still around. But why do this to a Miata? Will post more on Rooster's Build Thread of our trip to the MATG this year a bit later when done with edits. Truth be told, though: the car only left the lot at Fontana to go up and down NC28 2.5 times. I filled up when I came in on Thursday night and was still over half-full on that tank when I drove out on Sunday. Still too nervous. Wish I could've met more folks this year, but it happens. Staff duty has gotten to be VERY busy! Debating if I want to buy it. Would be kind of neat to have a reminder of the way it is/was. I'd buy it. It helps remember the joy that came from so much heartache.